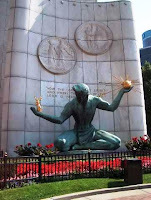 Detroit's primary elections are only a couple of weeks away. We have a couple hundred candidates for the City Council to consider. After talking with lots of people and doing lots of research, I have come to my own opinion as to who the best candidates are for the primary. I originally started to write all of my picks into one blog post. However, with nine candidates in the mix, it turned out to be an extremely long blog post. Therefore, I broke them up into a separate post for each candidate, with this as the master post that simply gives the names of my picks. For each candidate, simply click on their name to go to a separate post that will outline precisely why I endorsed this particular candidate. There are a number of very good candidates for the City Council. However, in my opinion, these are the best ones.